We’re continuing to see an avalanche of early singles from upcoming albums. 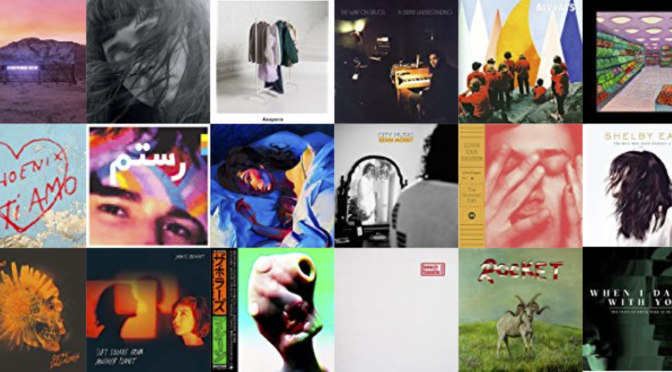 On that front, Arcade Fire (one of my favorite bands) has a couple of great tracks from their upcoming album Everything Now, and we have new singles from Waxahatchee, The War On Drugs, Rostam, Fleet Foxes, Kevin Morby, and The Horrors. Phoenix has released their new LP Ti Amo, and Lorde’s new album Melodrama is impressive and worth a listen top to bottom. Happy Summer! You can follow me and check out DNAK 98 on Spotify (21 tracks available).